Gone are the days of boring pancakes and sausage. Now we enjoy this classic American breakfast in whole new ways, like on a sundae topped with Nutella or crumbled with candied bacon. After one bite of these, you’ll never want another boring stack o’ pancakes or sausage links again. The mixture of sweet, salty and savory in each of these unique recipes will turn your breakfast from dull to fab in less than five minutes thanks to Jimmy Dean! 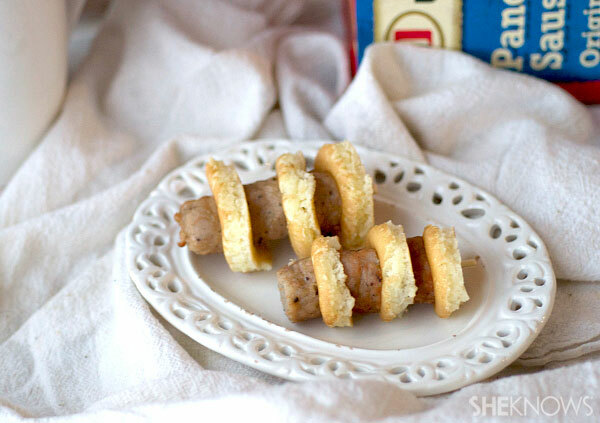 Unwrap the Jimmy Dean Pancakes & Sausage on a stick and place it on a microwave-safe plate. Microwave on high for about 60 seconds or until fully heated through. Remove from the stick and carefully slice into about 6 bite-size pieces. Place the Nutella in the microwave and heat until melted. Top each pancake bite with 1/2 teaspoon whipped cream, 1 raspberry and 1/2 teaspoon Nutella drizzle. Unwrap each Jimmy Dean Delights Maple Pancakes & Turkey Sausage Griddlers breakfast sandwich and place them on a microwave-safe plate. Heat for about 90 seconds on high or until both are heated through. Let them sit in the microwave for about a minute. Meanwhile, place the eggs in a small skillet over medium heat. Add the cheese, salt and pepper, and scramble with a spatula. Cook about 2 to 3 minutes or until eggs are soft and fluffy. 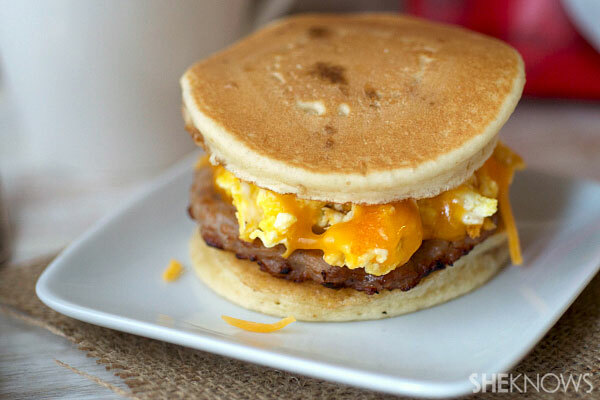 Top each breakfast sandwich with eggs and serve! Remove the Jimmy Dean Pancakes & Sausage Links Breakfast Bowl from the box and puncture the plastic with a fork. Microwave on high for about a minute or until the pancakes and sausages are cooked through. Let stand for about a minute. Using 2 small cookie cutters, stamp out about 6 small circles from the pancakes. Slice the sausages into 9 bite-size pieces. Skewer the pancakes and sausages onto small toothpicks and serve. Preheat oven to 350 degrees F. Line a rimmed baking sheet with foil and set a rack on top of it. Liberally coat the bacon slices with brown sugar and cinnamon. Place the slices of bacon on the rack (above the cookie sheet). Bake for about 8 to 12 minutes or until caramelized. Let cool slightly and then chop into pieces. Remove the sausages on the stick from the wrapper and place on a microwave-safe plate. Heat for about 90 seconds or until fully heated through. Cut the sausage and pancakes into bite-size pieces. 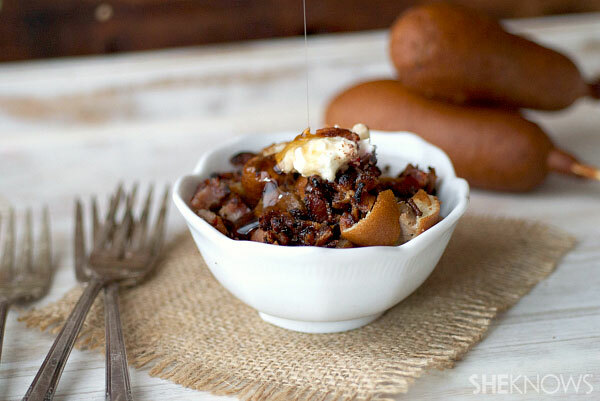 Top with candied bacon and drizzle with syrup! Puncture the film in the top of the Jimmy Dean Pancakes & Sausage Links Breakfast Bowl with a fork and microwave for about 90 seconds or until the sausage links and pancakes are heated through. Remove them from the bowl and chop into bite-size pieces. Fill two bowls with 2 to 3 scoops of ice cream. 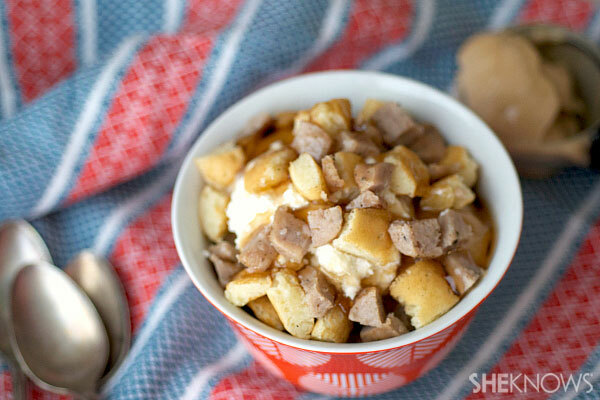 Top the ice cream with whipped cream and garnish with chopped sausages and pancakes. 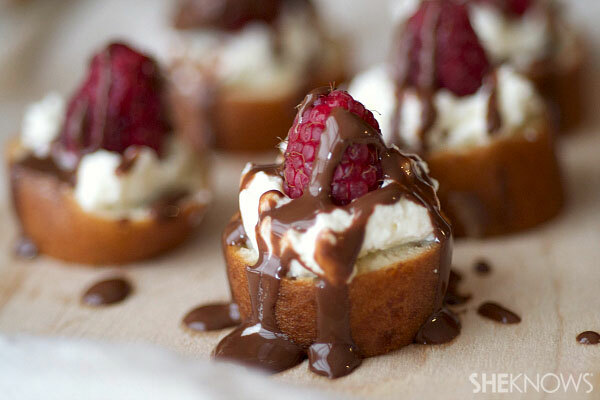 Drizzle the top with maple syrup and enjoy!